Although the basic aspects of kids’ parties always stay the same – cake, music, presents and mayhem – there are certain trends that change and evolve over the years. From food to themes and activities to outfits, children’s parties are always being adapted to reflect changing tastes and new influences. If you want to ensure that your next party is right up to date, or if you’re just searching the internet for inspiration for an upcoming celebration, we can help. Keep reading to learn more about the best, most extravagant and most exciting kids’ party trends of 2018. First released back in 2017, Fortnite is now one of the most popular computer games of all time. A staggering 40 million people login to play Fortnite every month, with thousands of new players discovering the game every week. If your child and their friends are Fortnite fanatics, why not base their next party around the online adventure? If you’re not familiar with how the game looks, play a few rounds to get ideas for decorations and aesthetics. There are more and more pre-made Fortnite-themed decorations available online. Invest in some specially made balloons, plates, cups, bunting and banners. If you want to take your decorations one step further, you could use camouflage material to cover your walls and give your venue a real survival aesthetic. During the party itself, your child and their guests will probably want to play a good few rounds of Fortnite. Most games last around 20 minutes, so they should be able to fit a few in before it’s time to head home. If some kids don’t have consoles or haven’t played before, make sure they get the chance to join in and have fun during the tournament. If you want to take things offline, you could arrange for a session or two of laser quest before the gaming begins so that your child and their friends can run around and work off some energy. Alternatively, if the weather is playing ball, you could organise a Fortnite-themed treasure hunt in your garden or split the group into teams and have a good old-fashioned water fight. Ask guests to dress up in the style of Fortnite characters to give your party an authentic feel. If you have school-age children, there’s a very good chance you’ve already heard of slime. Although it’s been around since the mid-’70s, slime has really hit the big time in the past few years and it’s now one of the most popular toys in the country. If you don’t believe us, just take a look at the thousands of slime videos on YouTube to see how popular slime really is. If your kids can’t get enough of slime, they’ll love a birthday party themed around the gooey substance. Luckily for parents, slime is incredibly versatile, so creating a fun, unique and affordable party should be easy. First, you’ll need to invest in a variety of slime products. There is a fantastic choice available online, so have a browse to see what you can find. Ideally, you should buy slime in a range of colours and styles. The more variety you can provide, the more fun kids are likely to have at the party. 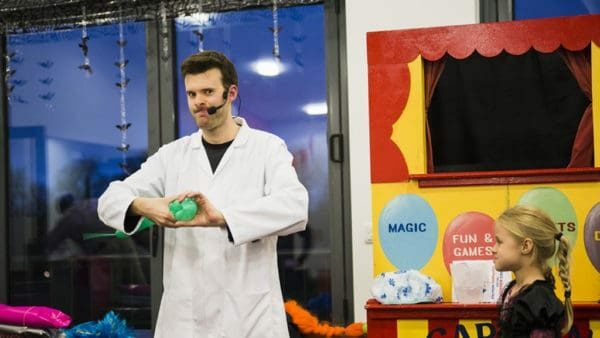 Alternatively, you can make slime for the party yourself or get the kids to make it when they arrive at the venue. You’ll find plenty of recipes for slime online. Try out a few before the event to make sure the slime is spot on. If you’re hiring a venue for the event, make sure you buy plenty of paper to protect tables, floors and other surfaces from slime. Although the substance is pretty easy to clean, it’s also a good idea to ask kids to wear clothes that they don’t mind getting a little dirty. When they arrive, get kids involved with the slime straight away. If you want to introduce a slightly competitive element to the party, you could split the group into teams and ask each to create a video of their slime experience. The best video wins a slime-based prize. A fantastic choice for a creative party, slime helps kids to have fun and get their hands dirty. Start planning your slime-themed party today and organise an event your kids will never forget. Like slime, this popular 2018 kids’ party trend is more than a little bit retro. Heading out into the great outdoors – well, the back garden at least – putting up tents and sleeping under the stars is a fantastic way to disconnect from the digital world, enjoy time with friends and have some fun. However, like many retro trends that have been revived for today’s kids, back garden camping has received a 21st-century makeover. Kids are no longer content with just sleeping outside in a tent – these days they might want the full glamping experience. For parents organising an outdoor sleepover, this means taking camping to the next level. Think air beds, duvets and pillows instead of sleeping bags, a fire pit instead of a campfire and blankets or artificial turf instead of the cold, muddy ground. If possible, set up the camping area before your guests arrive. This will give you the chance to ensure it looks truly magical. Invest in a few solar string lights for the garden to make the area look more welcoming and help kids find their way around in the dark. Stuff each tent with duvets and pillows to make it warm and cosy and then get to work on the outside area. Fire pits or chimineas are perfect for back garden sleepovers as they help to contain the fire and keep the outdoor area safe. If the kids are a little older, you could set up a small campfire to keep them warm during the night. Kids will love cooking their dinner outdoors, so why not have a BBQ just before it gets dark. Alternatively, you could wrap some potatoes in tinfoil, cook them in the campfire and give kids an authentic outdoor experience. After a night spent in the great outdoors, kids are likely to be a little tired and hungry. Prepare a breakfast feast for the morning after the glamping adventure to ensure your guests go home feeling happy and satisfied. Glow in the dark has been a popular kids’ party trend for a few years now and in 2018, it really took off. Kids love turning the lights off to reveal a hidden world of patterns, paints and decorations, so the more glow in the dark you can incorporate into your party, the better. Glow in the dark decorations are easily available online. From cups, plates and cutlery to chairs, balloons and banners, finding accessories that will come to life when the lights go off shouldn’t be a problem. The more glow in the dark decorations you invest in, the more impressive your venue will look when it’s time to party. If you want to take your theme one step further, why not plan a UV party for your child? 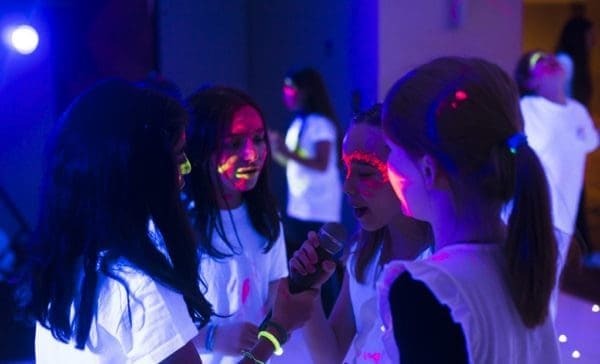 Combining glow in the dark with great music and excellent entertainment, UV parties are a fantastic option for kids of all ages. If you’re hosting a party for younger children, you can simply give them a few glow sticks or other UV accessories to enjoy. For older kids, you can invest in some UV paint or pens and get them to decorate their faces and outfits. The more mess they can make with the UV paint, the more fun they’re likely to have, so why not put down some protective throws or paper and let your guests really go to town. Hire a professional kids’ entertainer to help get the party started. They’ll be able to get your guests hyped up and in the party mood and keep them entertained until it’s time to go home. Yet another retro trend that’s making a comeback, trolls are popular once again thanks to the fantastic 2016 animated movie. Great fun and incredibly bright, trolls make the perfect inspiration for a kids’ party. If your child and their friends have embraced this retro trend, why not plan their next party around a colourful troll theme? Ask your party guests to come dressed in bright colours to give your party venue the perfect aesthetic. If you want, you can provide a box full of fluffy wigs so that guests can really channel the look of their favourite troll. Use decorations to help transform your venue into a troll palace. Make your own giant hairpieces for your tables or head online to find decorations and accessories themed around trolls. The brighter and more colourful your interior is, the better. You can treat your guests to a few troll-themed snacks by putting together a decoration station. Bake some troll-shaped cookies beforehand and then provide a choice of edible decorations that kids can use to create their very own troll. If you want, you could give out a prize for the most imaginative and original creation. If there’s one trend that never goes out of fashion, it’s superheroes. With superhero films released in the cinema almost on a monthly basis, kids of all ages are fans of Superman, Spiderman, Thor, the Hulk, Captain America, Iron Man and many more. The way you host your superhero party will depend on the ages of your child and their friends. Younger kids will love just getting dressed up as their favourite character and playing games with their friends. For older children, however, you may need to make things a little more interesting. 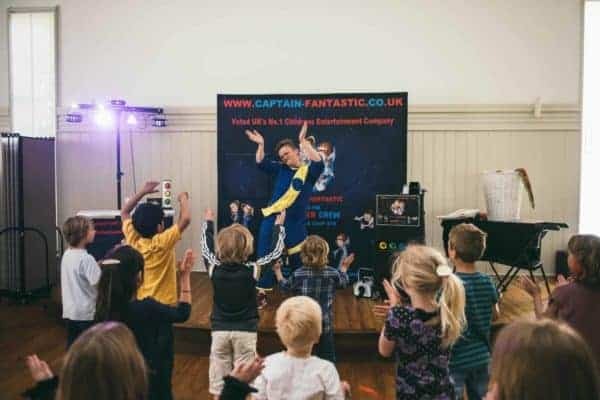 Hire a professional kids’ entertainer to help find games and activities all the guests will love. If you want the kids to get creative, get them to make brand new superhero costumes using materials you provide. Give a prize out to the team that comes up with the best idea. Decorate your cakes, snacks and tables with superhero accessories and decorate the rest of the space with themed banners, posters and balloons. Capture memories of this special day forever by hiring a photo booth for the occasion or taking portraits of each of the kids as they arrive for the party. Unicorns are incredibly popular right now, especially among younger kids. A fantastic choice for a fun, colourful party, unicorns make a great theme for an action-packed celebration. When it comes to decorating your unicorn-themed party, more is definitely more. Don’t shy away from filling your venue with colourful balloons, banners and posters. In fact, the more unicorn-themed decorations you can pack in, the better. This gives you the opportunity to have a lot of fun when it comes to prepping your venue. Let your imagination run wild and transport your guests to a bright, colourful wonderland. Extend your unicorn theme to the food by investing in a unicorn cake, unicorn cups, unicorn plates and unicorn cookies. Ask guests to come dressed as unicorns or theme some of your games around creating unicorn costumes. If you’re not sure how you’re going to keep the kids busy, hire a professional entertainer to lead the games, dancing and activities during the event. Ever since Disney released the film Moana, kids everywhere have been opting for Hawaiian-themed parties. Think palm trees, brightly coloured outfits, tropical juices and grass skirts. This makes a great theme throughout the year, whether you’re having an outdoor party in the middle of summer or trying to chase away the winter blues. Invest in a few inflatable palm trees to help set the scene at your party and get guests in the tropical mood. You could also hang flower garlands from the walls, give the tables grass skirts and cover the walls with images of tropical landscapes. Guests attending your Hawaiian party will need to put a bit of effort into their outfits. You can leave the dress code fairly open, but ask parents to dress their kids in colourful clothes and tropical accessories. Buy a box of grass skirts, flower garlands, sunglasses and Hawaiian shirts to help everyone get in the party mood. Serve drinks in coconuts and bake a pineapple cake to give your food a truly tropical feel. When it comes to entertainment at a Hawaiian-themed party, there are lots of options to choose from. You could have a Hawaiian limbo competition, get your guests playing hula hoop or arrange for a coconut shy or pineapple bowling. The more creative you can get with your tropical games, the more fun your guests are going to have, so why not let your imagination run wild. Ok, so cake may not really be a party theme, but in 2018 we’ve definitely seen a lot more sponges at kids’ parties. Instead of simply having one main birthday cake, today’s kids now often have a whole table of desserts complete with a central cake, cupcakes and a choice of alternatives. The more indulgent, extravagant and delicious you can make your cakes, the better. If you want to turn cake-eating into entertainment, you could simply provide your child and their guests with plain cupcakes and a variety of icing tools and decorations and get them to put their own extravagant looks together. If your party is taking place outside, or if you’ve prepared the area with protective cloth or paper, you could finish the day off with an energetic cake smash. Great for photos and a lot of fun, a cake smash will help bring your party to the perfect conclusion. Lego is another enduringly popular kids’ party theme. You can give it a 21st-century update by investing in giant Lego bricks and getting guests to build supersize structures. Alternatively, simply provide a load of normal-sized bricks and encourage your guests to let their imaginations run wild. If you’re feeling creative, there are lots of other Lego-themed games you can play. Make pins out of Lego bricks and play Lego bowling, hold a tower-building competition or get the kids to try and make a model of the birthday boy or girl out of bricks. Use Lego bricks and Lego images to decorate your venue and give your tables a fantastic, colourful look. Extend your theme to your food by baking a bright, bold Lego cake or making edible bricks out of cornflake cakes or other sweet treats. Taking inspiration from current trends is a fantastic way to ensure your child’s next party goes with a swing. For more unique and original kids’ party ideas, or for help organising your next event, explore our site or get in touch with a member of our expert team today.